Accuton C173-6-096-E, 7" midwoofer for 3 way designs. 55mm titanium voice coil. 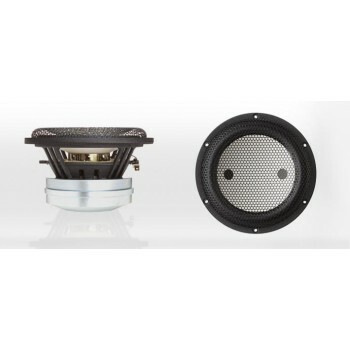 Soft rubber surround, 120mm underhung Neodymium motor, vented pole piece, voice coil and spider. Accuton C173-6-096-E, 7 inch midwoofer for 3 way designs. 55mm titanium voice coil former for high performance. Soft rubber surround, 120mm underhung Neodymium motor, for high SPL capabilities, vented pole piece, voice coil and spider.